For most amateur golfers, dealing with a golf course or local golf tournaments can be a mighty struggle. Holes that have been designed to trip you up combined with those dreaded long par fours can see an amateur’s blood pressure rise and a few 8, 9 or even more written on their cards. 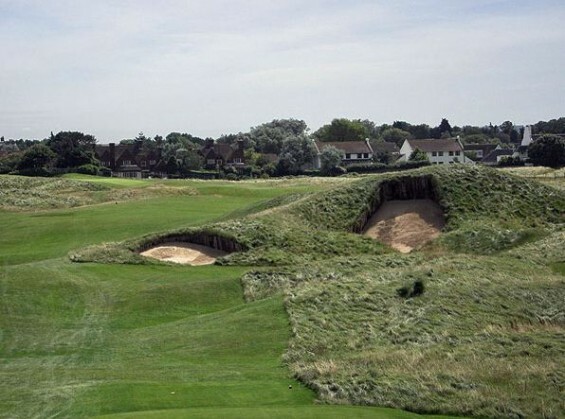 Courses on their own can be mightily tough to get your head around but then you have to factor in the weather and the simple fact of the matter is, change the weather and you change the golf course. This was perhaps most obviously shown at the last Open Championships held at St Andrews. On a relatively benign opening day, players were carding 63. 64 and Rory McIlroy likened the famous Old Course to a Pitch and Putt course. The following day blew a hoolie, as the Scottish would say. Those 63 and 64’s soon became 74, 75 or worse, considerably worse in many cases and all because of one change in the weather. What this means is that prevailing conditions change golf markedly and nowhere is that more obvious than when you play a course in the winter, compared to the summer. The first thing to note is that in colder, wetter conditions, your ball will not travel as far in the air as it would in warmer, drier weather. Wind of course can influence this at any time of the year but taking that out of the equation for now, it is fair to say that your golf ball will travel slightly further in the air during summer than in the winter. Compounding the shorter distance your ball travels in winter in the air is the fact that when it lands on the fairway (if you are lucky), then it will likely have much less roll on it than it would striking a much firmer and drier fairway in the summer months. Winter fairways can be very spongy and wet, absorbing a lot of the energy the ball carries in the air when it lands and this significantly decreases the amount of roll you get on the ball once it has landed. One of the biggest differences in winter golf compared to summer is that many courses allow players to use preferred lies in winter months for a high proportion of the time. This means that you can pick your ball up clean it and replace it without penalty, provided you don’t throw the ball 30 feet further on down the fairway before your next shot! Preferred lies is one of the few bonuses winter players have on summer golfers, so use this wisely. 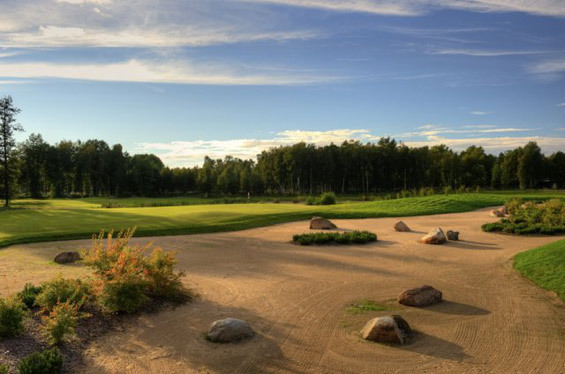 Sometimes, if your ball lands in the rough in the summer, you can play out of it relatively easy as the stringy, dry rough allows the club to pass through relatively unimpeded. However in winter, when the rough is soggy and wet, the rough seems to come alive, grabbing your club head and almost yanking it out of your hand. If you are a winter golf fan and you find the wet, deep rough. Don’t get too cute playing for the hero shot. Get the ball onto the fairway and take your medicine, or you risk a card-wrecking score on the hole. The greens (even if the course elects to use temporary greens in the winter) can take a pounding in the winter months, so they may not be in tip top condition. The likelihood is also that putts will run a lot more slowly than in summer months when the greens have had time to dry out considerably. Take good care of the greens as mistreatment during the winter can ruin the greens for the rest of the year. It’s much easier to play golf in a t-shirt and cap, than it is a bobble hat and weatherproof clothing. Winter golf can be a real test of your love for the game when the days are cold and your hands are freezing between each shot. Take great care to ensure you are as comfortable as you can be playing winter golf and you’ll find your golf improves as you aren’t focused on how cold and miserable you are. Still, at least you don’t need to lather yourself in sun tan lotion every half hour, so there is always an upside! Winter golf, especially in cooler climes can be a challenge and very different to the summer game even on the same course. However, if you can battle through the condition, you’ll find a game that is as challenging as it is enjoyable in a woolly hat and waterproofs as it is a short sleeved t-shirt and sunglasses. Why you should be out on the course this winter! Hello! Look at nice offering for you. I can send your commercial offers or messages through feedback forms. The advantage of this method is that the messages sent through the feedback forms are included in the white list. This method increases the chance that your message will be read. Mailing is made in the same way you received this message.